We live in an information age. Anyone looking for answers to a question can get a list of results with a simple click of a button. This action keeps search engines like Google busy. In fact, Google processes more than 336 million search queries in just one hour. That’s a lot of people looking for help. So how do you attract people looking for help relevant to your business? You need to create consistent, relevant content that’s meant to educate and engage your audience. This content should ultimately nurture them toward making an informed, confident decision, whatever that decision may be. This process is known as content marketing, which is really just the art of business storytelling. To get started, below is a list of steps you should consider adopting to create a long-term content marketing strategy. Businesses love to talk about themselves and how great they are. Here’s a secret: That content is only helpful for people who are familiar with your business. If you want to attract new website visitors, you need to create helpful content about your industry that educates and inspires them to continue learning. What’s an example of this in action? My wife, Ariele, and I are the founders of Wild We Wander. Our purpose is to educate and inspire people to live an alternative lifestyle. 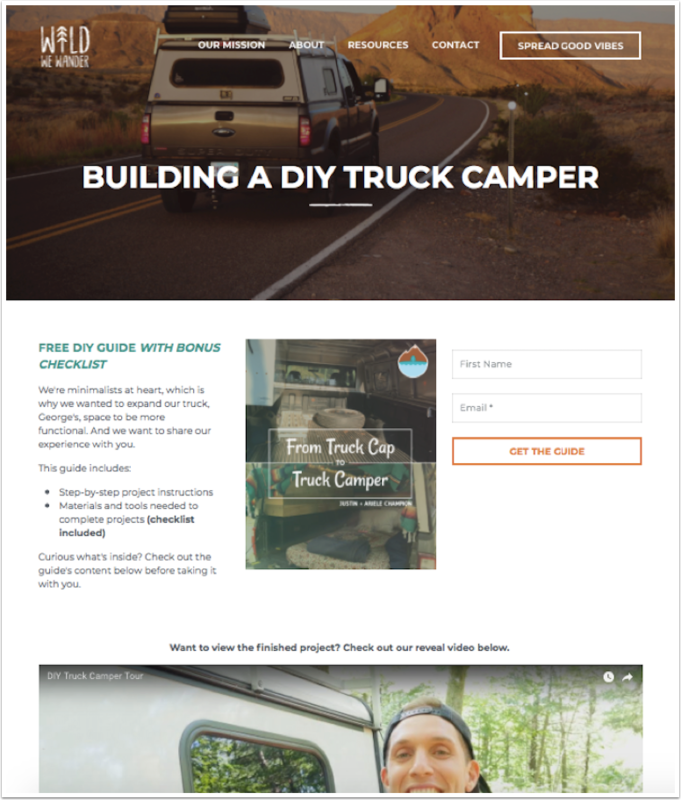 Last year, we published an educational website page that teaches you how to build a DIY truck camper. The result? In 13 months, this site page received more than 16,500 visits from search engines. Want to learn the step-by-step process I used to get our content ranking #1 on Google? Check out HubSpot Academy’s free Business Blogging Strategy course. Ahrefs did a study and found that the average first-page ranking will also rank well for about 1,000 other relevant keywords. In order to create the best experience for their users, today’s search engines focus on context and natural language, as opposed to specific keywords, when choosing which content to showcase on a search engine results page. 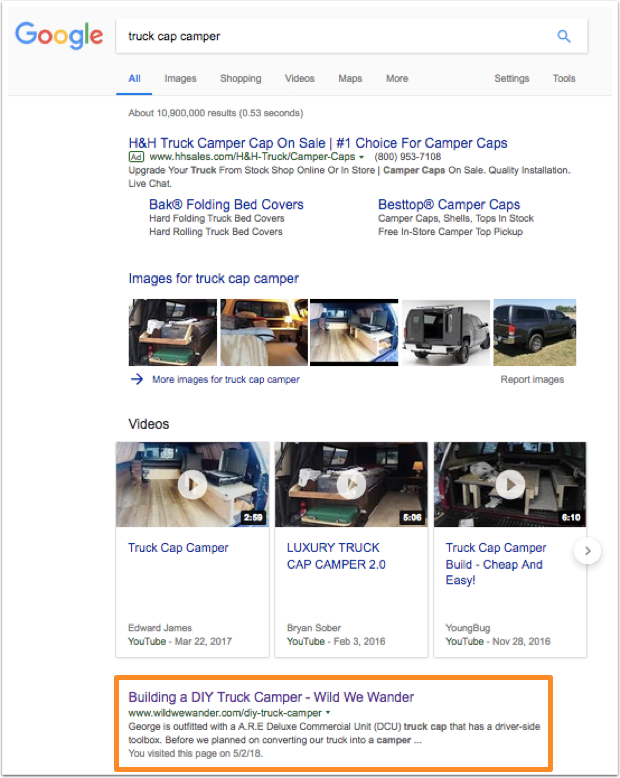 We did some digging and found that our DIY truck camper website page also ranks on the first page of Google for broad terms like “homemade truck camper” and “truck cap camper”—terms we don’t specifically reference on the page. Think of your website as a tour guide—it’s in charge of navigating people to where they want to go. The most effective way to do this is to use links and calls to action strategically. 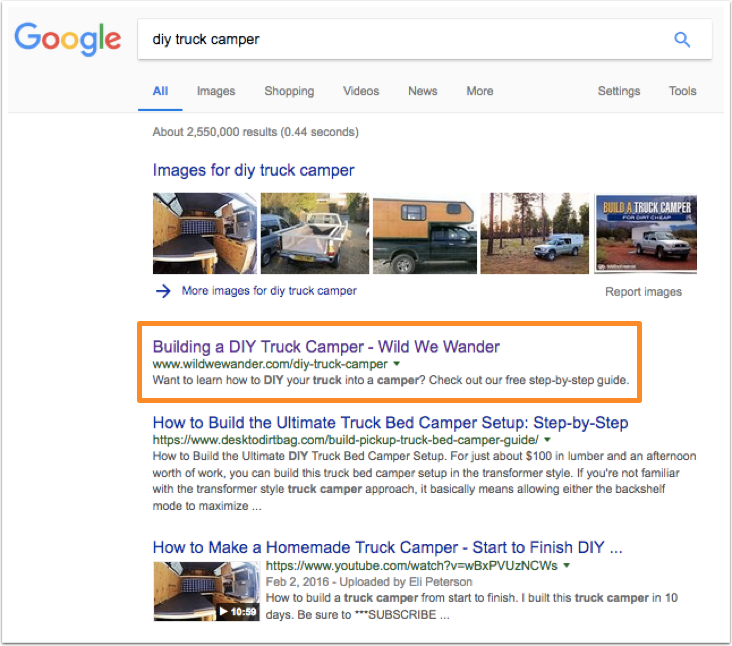 Wild We Wander’s top-trafficked website page is about how to build a DIY truck camper. 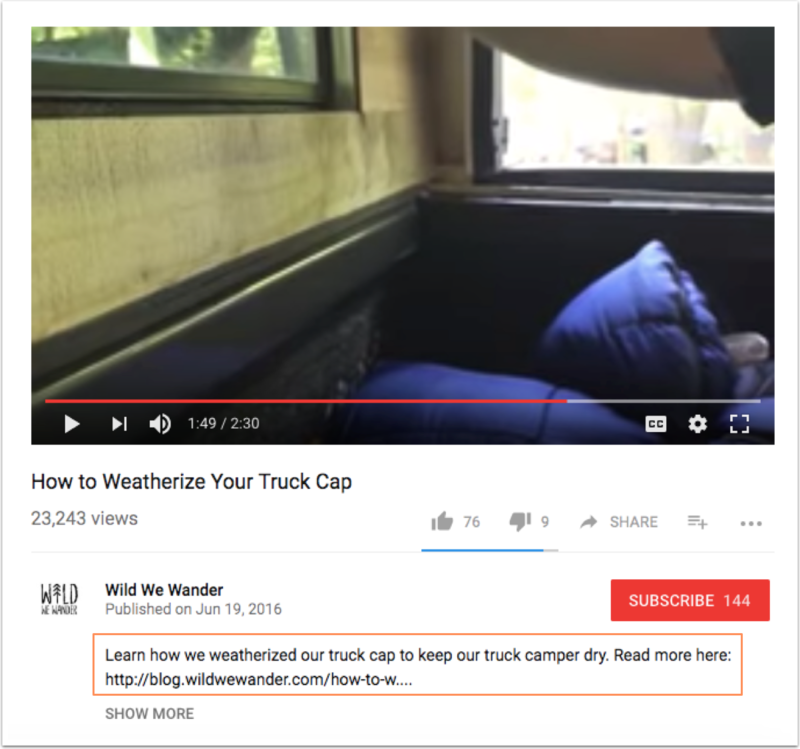 This topic is related to a recent website page we published on how to become a digital nomad, so I added a link on the DIY truck camper page to direct people to the digital nomad page (a digital nomad is a remote worker who is able to provide value from anywhere they have a wireless internet connection). 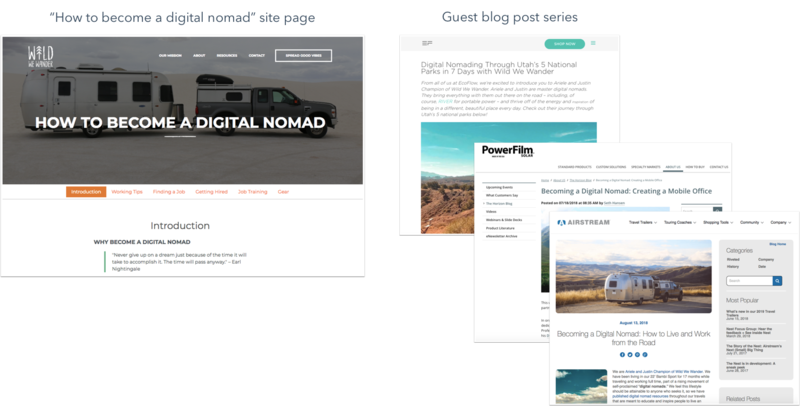 People who are reading the DIY truck camper page may find the digital nomad content interesting and helpful. From a search engine optimization perspective, it helps create a cluster of related content by linking like-themed pages together via hyperlinks. You can have the best content, but unless Google deems your site an authoritative resource, then your content may never be found via search engines. And that would be a shame. You can increase your website’s authority by increasing the amount of inbound links pointing to your website; an inbound link is a link to your website from another website that serves as a vote of confidence. An effective way to increase your website’s authority, while spreading your thought leadership across the internet, is to guest blog on authoritative websites. Wild We Wander is always looking for opportunities to build inbound links to our educational site pages. We do this by creating a series of guest blog posts for websites that our audience might visit, inserting a link back to our content. Make it a best practice to insert links naturally into your content. The goal should be to focus on the reader’s experience first. The links you add are meant to enhance the reader’s experience in case they want to learn more about the specific text you hyperlinked. If possible, include your most valuable inbound link near the top of the page. Search engine bots crawl through a page’s content the way a human would read it—left to right and top to bottom. Links that are found near the top of the page pass more authority to the page they’re linking to. Each link thereafter will have slightly less value. Syndicate your educational content. It takes a lot of time to create a valuable piece of educational content. An efficient way to get the most out of your guest blogging efforts is to first create a valuable piece of content on your own website, then repurpose and package it to provide new value and meaning for someone else. And when I say repurpose and package, I don’t mean simply copy and paste. 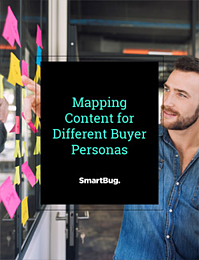 Use snippets from your original content as a framework to build a new narrative. 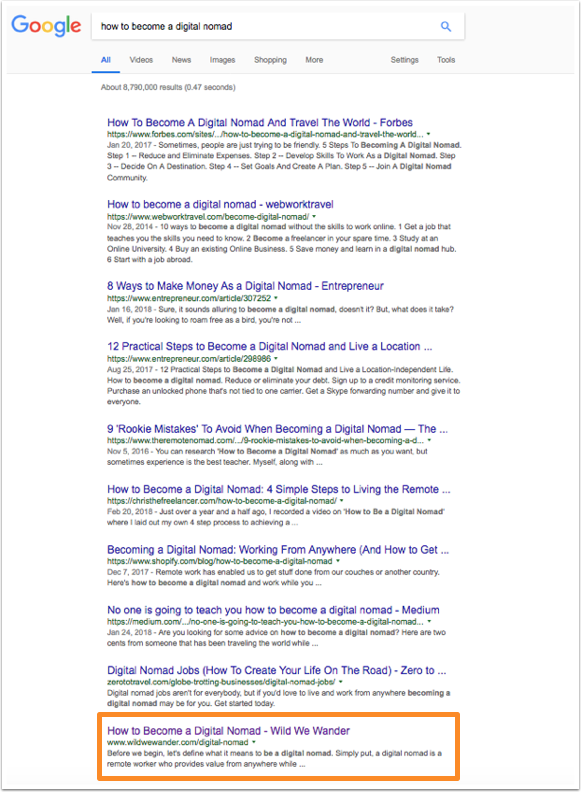 This approach, paired with internal website linking, is what led to our digital nomad site page reaching the first page of Google in just two months. However, there’s nothing more boring than seeing a company promote the same social post over and over with the same message, which is usually the title of the article. You can do better than that. 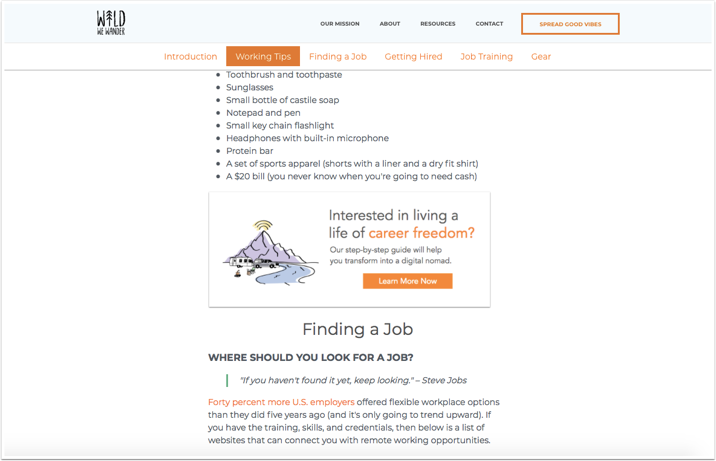 Wild We Wander expanded and grew our digital nomad site page into a practical transformation guide on how to live and work from the road. To help continuously promote the guide on our social media channels, we use interesting snippets of content to keep each post fresh. For example, let’s take a look at this Instagram post. 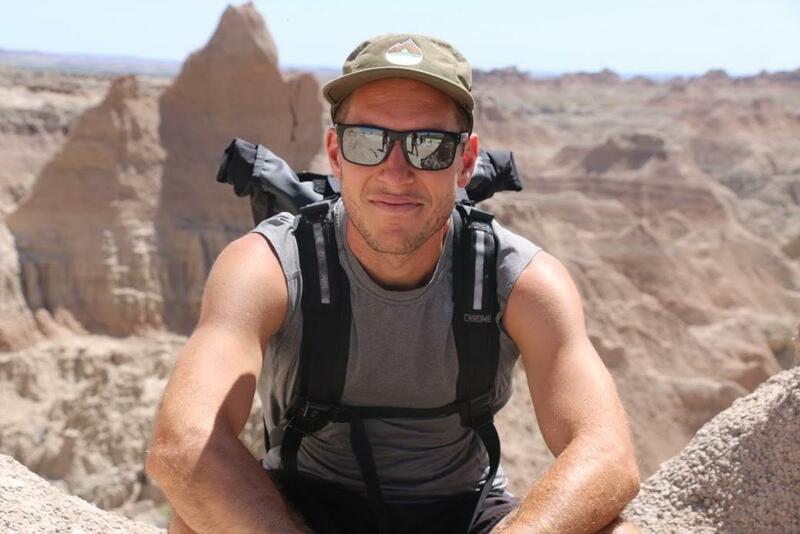 It explains how to manage your time as a digital nomad who works from the road. Notice how we included a relevant image, where to access the guide, and a unique hashtag—#digitalnomadguide—to track social series results. The digital nomad guide is 62 pages long. That provides us many opportunities to build a series of fresh social posts that extend for a year or more. It takes a lot of time to create effective content. If you create a piece of content that’s performing well, then consider recycling that content into a new format for a different channel. By putting it on a new channel, not only are you able to reach a new audience, it also allows you to claim more search engine listing real estate if the channel is SEO friendly. Wild We Wander’s DIY truck camper guide started off as an eight-part blog series. Each blog post was then repurposed into a video which was hosted on YouTube. YouTube is an SEO-friendly distribution channel which allows us to claim another search engine listing for the content we’re creating. The video caption links to the blog post on our website. 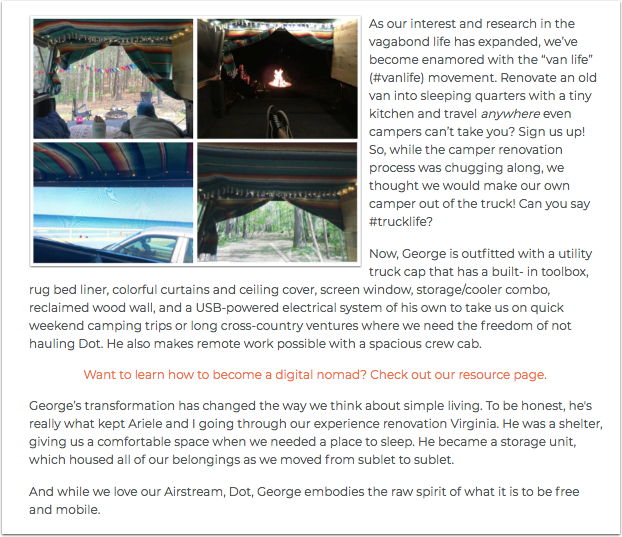 And that blog post links to the DIY truck camper site page. And the DIY truck camper site page links to the digital nomad site page. 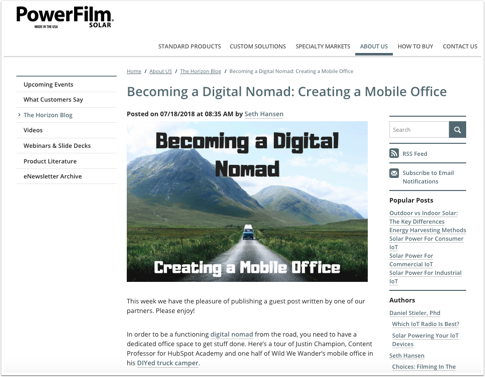 And the digital nomad page links to one of our product landing pages to access our practical transformation guide. If you’re going to take the time to repurpose content, make sure the experience is helpful for the user and guides them to where you want them to go. 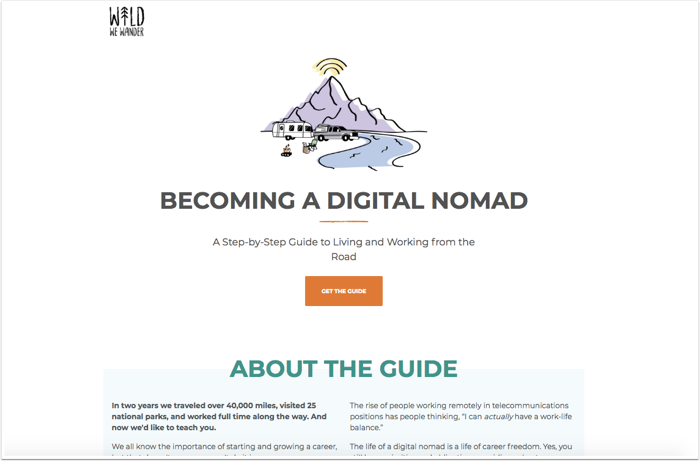 In this case, the digital nomad guide landing page is the end goal of where we want to send our audience. And that’s it! Take these five tips and apply them to your situation. One last thing: It takes time to see results. Content marketing is like trying to climb a steep mountain, one you can’t climb in a day, week, or possibly even a year. But when climbing any mountain, focus on the steps—one foot in front of the other. That will make your climb more manageable and less overwhelming. If you’re looking to create a content strategy in HubSpot, then check out our complete step-by-step guide. Justin Champion Justin Champion is the author of Inbound Content, Content Professor for HubSpot, Adjunct Lecturer for the University of Florida, and one half of Wild We Wander. Justin created HubSpot Academy's Content Marketing Course, which has awarded over 30,000 certifications to professionals across the globe since November 2016. Read more articles by Justin Champion.